In a world in which many online forums are spouting discontent, we were astonished by the beautiful and moving reactions that our readers posted below the blog ‘For Your Mom. And For You.’ One by one intimate stories in which some readers don’t hesitate to mention their own limitations or disagreements. We were amazed by the number of readers that dared to provide an insight into the relationship with their mother. The whole of reactions almost forms an artwork in itself. We faced the impossible task of choosing a ‘winner’ – but we did it, and the result is shown below. 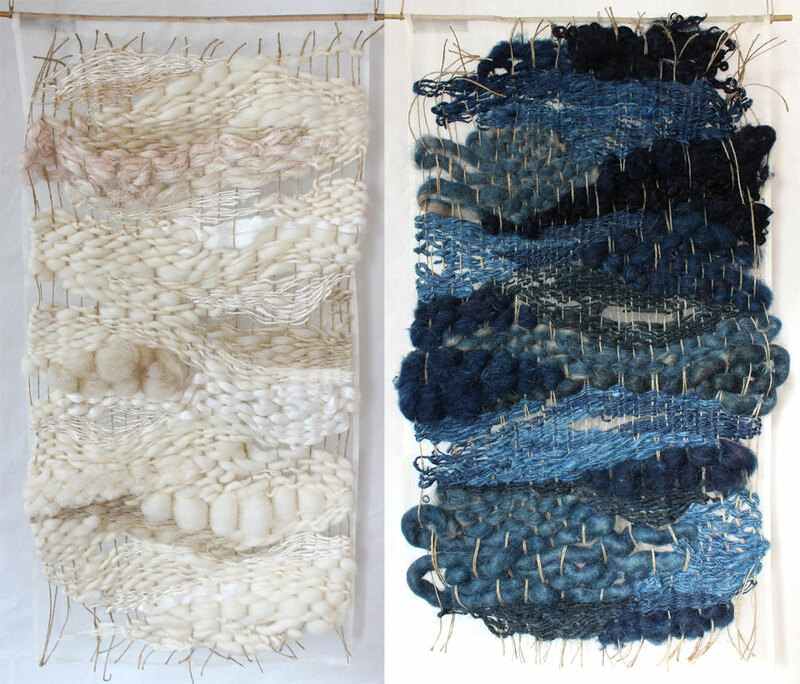 For the occasion of Mother’s Day, Claudy Jongstra made a diptych, consisting of two weave works. One in natural white, for the child. ‘The white symbolizes purity, and is ‘becoming’’, as Claudy defines it. The other work is indigo blue, for the mother. 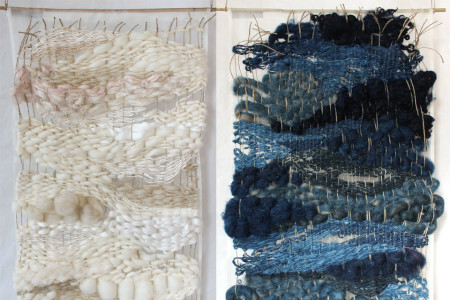 ‘The colour indigo represents maturity, and intellectual and inner growth.’ See All This decided to award the best reaction about the relationship between mother and child with the white weave work, and to give the blue one to his or her mother. Quickly, 57 beautiful reactions appeared below the article. With moving stories, of mothers who were almost too loving to mothers who were completely absent, from children who never knew their mother to children who couldn’t live without their mother. Some stories were written by older children, looking back on what their mother meant over a lifetime, other stories were written by young children, anticipating the role of their mother on the road to adulthood. It seems unfair to judge those highly personal reactions and to choose a ‘winner’ – but in the end there is only one unique diptych. 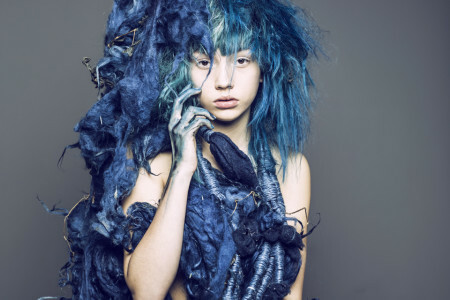 Claudy Jongstra and See All This editor-in-chief Nicole Ex read all the reactions, read them again, and slept on it for several nights… Eventually they chose the lucky one. The diptych by Claudy goes to the fourteen-year-old Lynn vd Molen. And her mother. Thank you Lynn. The diptych is coming your way. We hope it will be a source of inspiration for you and your mother.